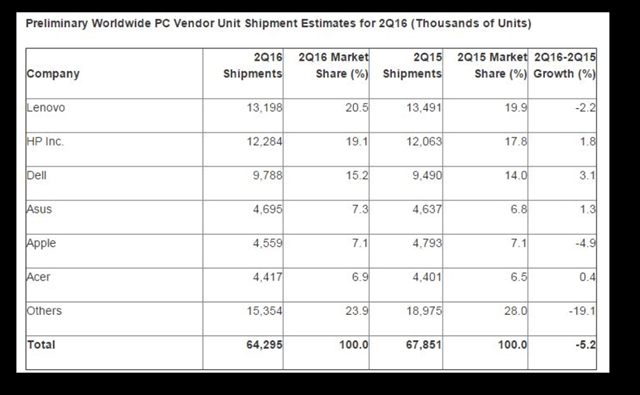 The PC is not dead. Take that Steve. Now, if you want to talk about Mac’s…….the third most popular platform in America. Ouch, that’s got to hurt Apple. 5% Decline for Apple. My guess is their updated Macbook doesn’t take off like gangbusters their go full tilt iOS in 2017 and push the iPad pro as solution with a way to connect to their displays.